Our Long Awaited Allergy Diagnosis Mama Say What?! | Mama Say What?! When Little Man was about 18 months old, his father was concerned about his watery eyes. Given his history with blocked tear ducts and a perpetual case of the sniffles, I was not concerned, but agreed to let his father take him to see an allergist. After the insurance debacle of referrals and finding a pediatric allergist in our network, two months had passed before he had an appointment. 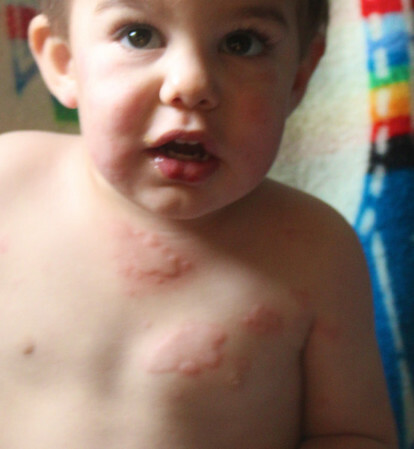 In these two months, Little Man strangely developed a case of hives on a fairly regular basis. His PCP gave a generic diagnosis of viral hives. When his father took him to the allergist, he stressed his concern over the watering eyes, not so much the hives as he had not seen them at their worst. His hives had escalated from small bug bite size to large raised welts. I finally asked for a second appointment with the allergist, specifically for a food panel as I had a dairy allergy as a child. Given the initial concern raised about watery eyes, we were told before they would run a food panel, a level two environmental test had to be run. The initial panel run was the traditional “prick” test, the second level is an intradermal test. I caused a ruckus saying there was no way his hives were environmental, he got hives at mama’s house, at dad’s house, at daycare and even on vacation on the other side of the United States. I requested a dairy test due to my history. I knew the last time he’d gotten hives was when I shared my bagel and cream cheese with him. To calm the cranky mother, they gave in and ran the dairy test, and to my surprise, it came back negative. Inside I did a little victory dance. I was SO excited someone other than myself was finally concerned. Thirty minutes later we had a diagnosis… tree nuts! It all made sense. The cream cheese was honey walnut. When I thought it may have been dairy related, I tried almond milk which also resulted in hives. It was not a conclusion I would have come to on my own, but it totally fit. After a solid 30-minute meeting with the doctor and a prescription for three epi-pens (mama’s house, dad’s house and daycare) I was a bit overwhelmed. So many things I would not have initially thought of had to be cut out of our lifestyle— no Nutella (hazelnuts), no pesto sauce (pine nuts), multi-grain breads often add nuts for extra protein. Mortadella, a ham cold cut, could contain pistachios. A ham sandwich! Do you realize how many children bring granola bars or honey nut cheerios to daycare for a snack? I had a minor panic attack a few weeks ago when I got half way to a birthday party and realized his Epi-pen was still on my kitchen counter. Another minor panic attack when there were walnut-crusted brownies at a different party. I have to be watchful of what he eats now, since he is so little. I have to read labels at the grocery store. The next few years will be tricky as he has no understanding of the concept. It will be my responsibility to keep him safe at daycare, at school, at birthday parties, at playdates, etc. It is a transition, but soon enough, reading labels and bringing the pen will become our regular routine. The most valuable lesson I took away from this entire experience was to stand up for your child. I very well could have accepted the viral hive diagnosis, which could have resulted in a full blown anaphylactic episode. Without those images I had taken we could have been months away from a potential diagnosis. Doctors are smart individuals, but they are not your child’s parent. Don’t always accept a diagnosis you are not comfortable with. Dental Health Questions Answered… and a Giveaway! Added by April M. on June 25, 2013. Great story, thanks for sharing, and kudos for sticking to your mama instincts! Such a relief to finally have an answer! Not an unfamiliar story to me! Thank you for bravely sharing your journey to help others know they are not alone! 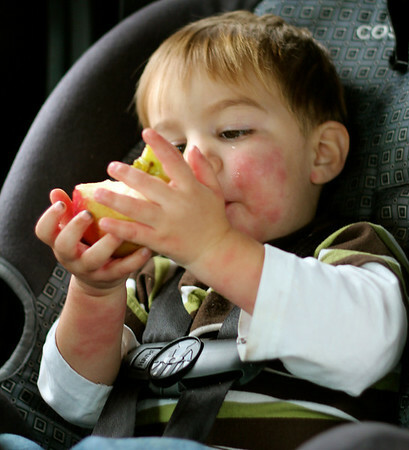 Food allergies are so tricky and moms of allergic children may come off as pushy or controlling, but for little ones who can’t make sensible decisions (until….maybe never!) we are their safety and their well being! So when I ask to read the packaging and not take your word for it that the bread is safe, or ask the waitstaff the same questions EVERY time we suppress our anxiety enough to go to a restaurant, please don’t judge. 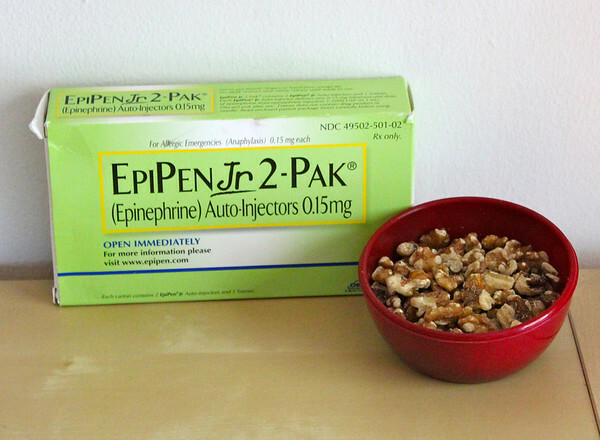 Food allergies can kill. Not all parents have to deal with this type of safety issue EVERY day. We learn to cope, the least you can do is to acknowledge our fight. Wow – how scary! I’m glad you figured out what was going on. Good for you for sticking to your guns. If we mamas don’t advocate for our kids, who will?